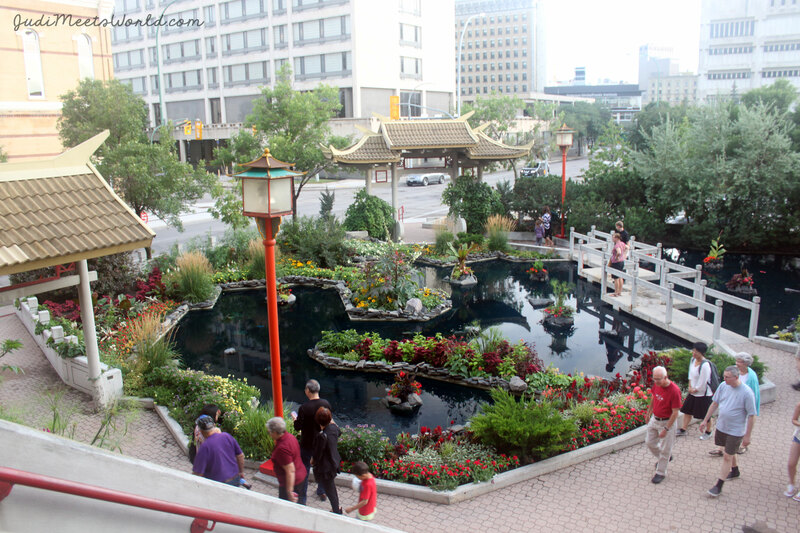 We kicked off Day 2 visiting the Chinese Pavilion, housed in the Dynasty Building of Chinatown! The grounds of the building are beautiful and this environment also adds to the feeling of visiting China. 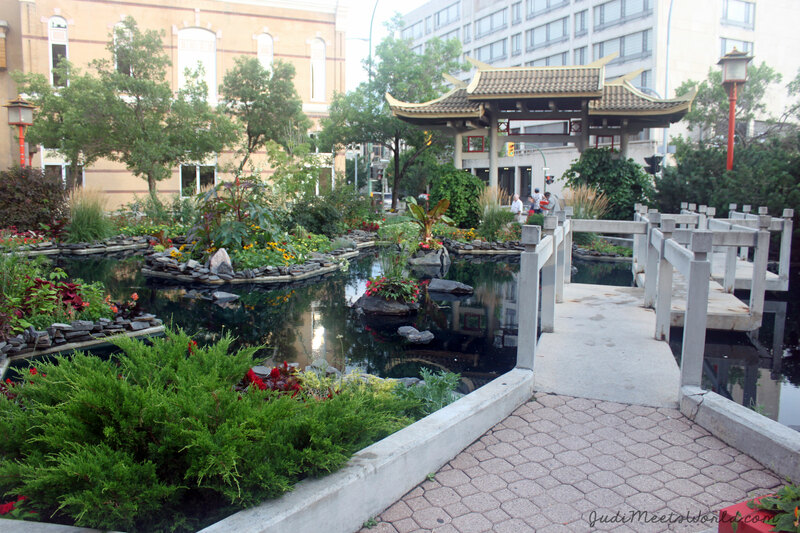 *This pavilion alternates with the Indochina Pavilion so it is only held every other year! * * My maternal grandfather was Chinese, but I never grew up learning a lot of my Chinese heritage because he had passed before I was born. My how or why questions are answered annually when I hear about the customs and traditions that are passed down to generations. Youth Ambassador Anna Sun swiftly took us around the Dynasty Building and gave us the option to find seating or tour the Cultural Display. Her hospitality and grace embodied the Chinese values that I was taught at an early age. We also learned that there is a lion dance that happens between shows in the Chinese Garden outside. The focal point of the cultural display is in the tea ceremony. White tea samples were given while young women explained the traditional way in which tea is steeped. Furthermore, we learned that there is spiritual and metaphorical significance down to the utensils used in a tea ceremony – visit to find out for yourself! You can also witness (and probably join) a game of a mahjong. When we were seated, we were given meal options including a vegetarian option. 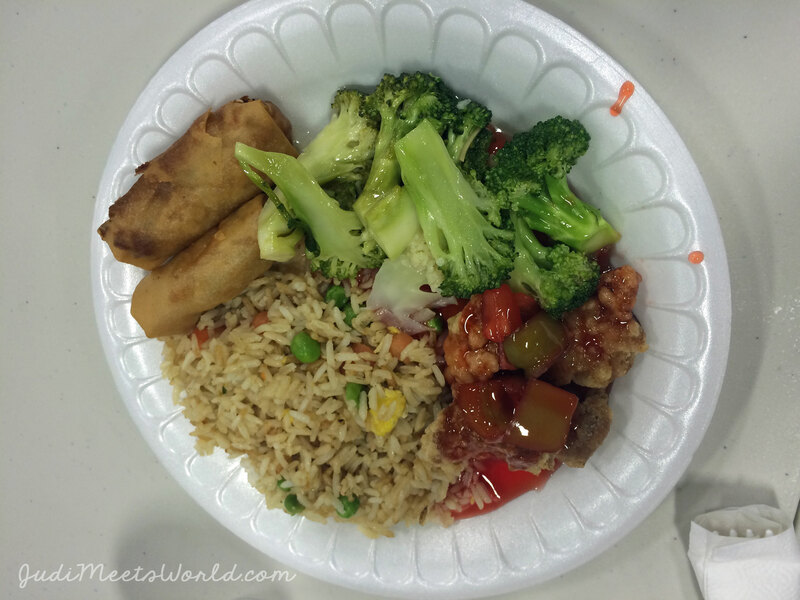 The key difference between the regular meal and vegetarian option was the sweet & sour pork. 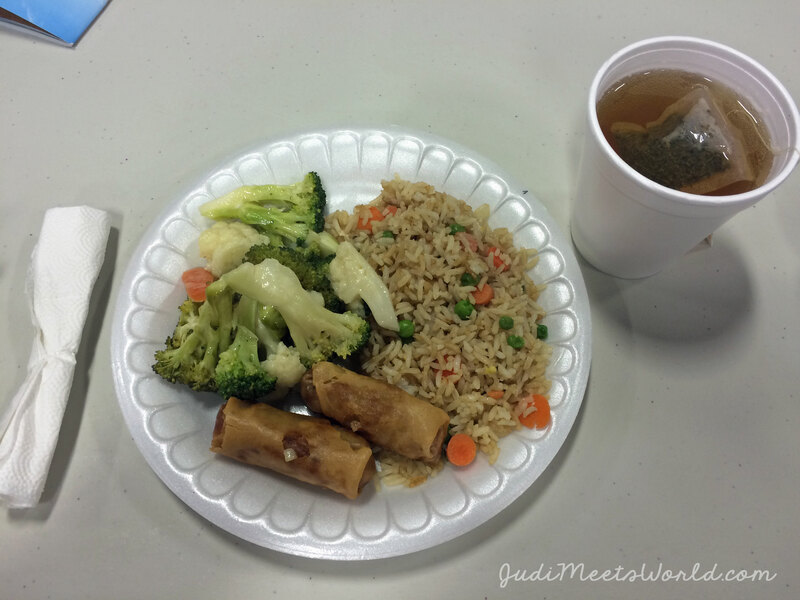 I had the vegetables, fried rice, and vegetarian spring rolls. 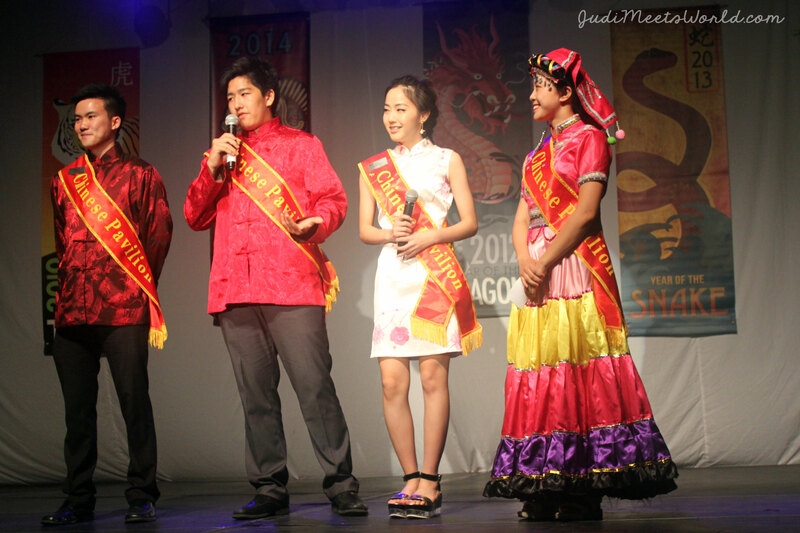 Co-MCs Tina Chen and her daughter opened up with facts about the panda bear, which is a clear theme in decorations. 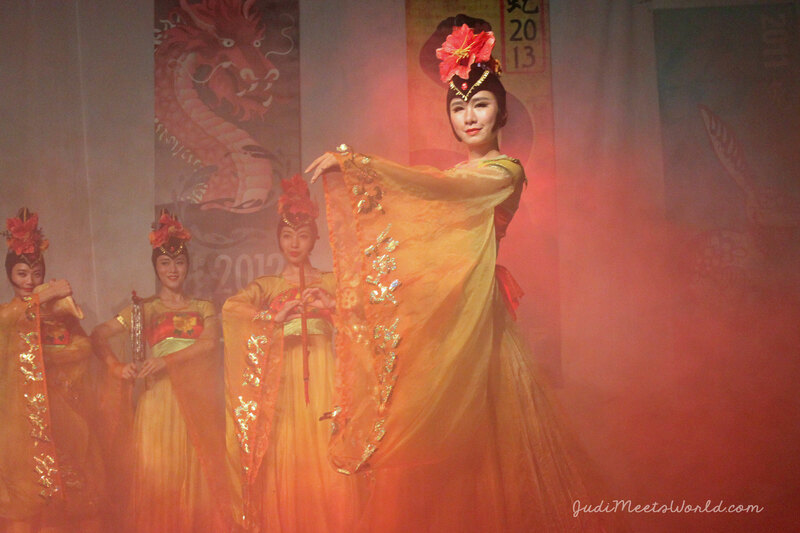 The performers are from Chengdu, China, Winnipeg’s sister city. Chen also mentioned that the performance group will be here until Thursday, then local performers grace the stage for the last two days of their run. Acrobats, opera, pipa instrumentalist, and changing masks! A steady balance of core strength, balance, grace, and intricate details – you can tell how passionate the performers are about their craft. Words simply do not do it justice. The performers’ costumes alone are so intricate and beautiful. In addition to these costumes, their unique skills and talents will leave you awestruck. You truly need to come and see it before your very eyes! During their final bow, the Chengdu performance group threw out trinkets of appreciation to the audience. 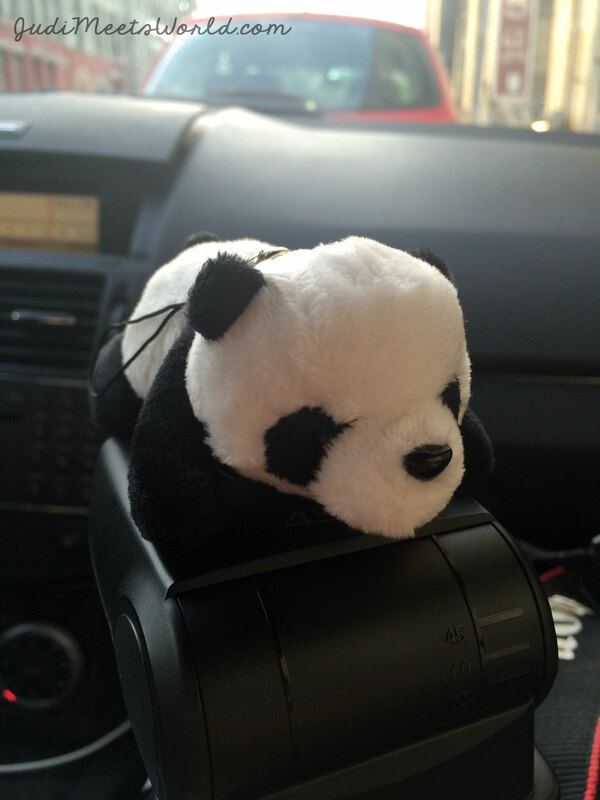 If you happen to catch one, you’re in to make a new furry friend – a panda. Well done, Chinese Pavilion! Thank you for having us at your pavilion! Xiè xie nǐ!